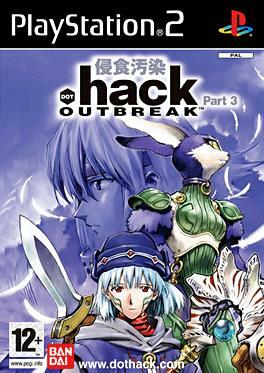 .Hack//Outbreak is the third of a series of four games, titled .hack//Infection, .hack//Mutation, .hack//Outbreak, and .hack//Quarantine, features a "game within a game"; a fictional massively multiplayer online role-playing game (MMORPG) called The World which does not require the player to connect to the Internet. Players may transfer their characters and data between games in the series. Each game comes with an extra DVD containing an episode of .hack//Liminality, the accompanying original video animation series which details fictional events that occur concurrently with the games. The games are part of a multimedia franchise called Project .hack which explores the mysterious origins of The World. Set after the events of the anime series .hack//Sign, the games focus on a player named Kite and his quest to discover why some users have become comatose as a result of playing The World. The search evolves into a deeper investigation of The World and its effects on the stability of the Internet.